The conferences of Malofiej 17 have names and are scheduled. You can take a glance to the complete program in PDF and the inscription form. Keeping the NYT mood of the morning, justified by the supremacy of the Gray Lady on infographics lately. You can start reading his opinions here and here. Tom Kennedy manages the are where talents as Xocas have flourished, although he arrived there pretty mature. The way the greenhouse works, on this coference. One of the classics of the spanish infographics will explain how to deal with breaking news. Another reason to celebrate the return of El País to Malofiej. Some years ago, El Mundo integrated the online and print infographics sections with an only head. Thsi head is whois coming to explain how is the integration working. Flick pool of the event. 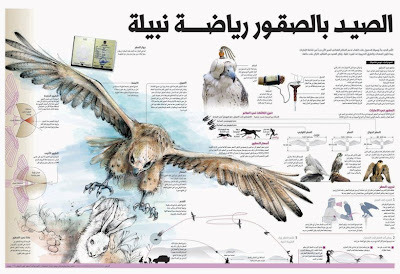 Luis Chumpitaz is peruvian and he's succesing with his graphics department, as the SND has recognized awarding infographics works of the three Arab Media Group newspapers. How to design for a different cuture with a different alphabet will be the leit motiv of the conference. ... Or any infographics journalist's dream. Brazil is one of the boiling points of infographis of the moment, so keep ears wide open to know what's on the fire. One of the conferences of the year. Database specialist of the media who is showing everyone the best way to deal with them come to tell the best way to use data. When eveybody is talking about the exhaustivity of the information used on nytimes.com infographics, they come to tell how to edit. Geoff, one of the instructors at Interact Don't Tell, migrated from nytimes.com to lemonde.fr. The contents of his area at Le Monde are closed (paid access), so this conference promise new things... Great expectations. To complete the three aces of the afternoon, one of the new young (but senior) values of the Grey Lady will explain his work. Good to know what's behind this team of geniuses. I want to buy a house in Costa Rica, because I like the climate there. For me costa rica investment opportunities is the best option for me. I just imagine a tropical day where I can make a lot of parties all the time. I am interested to buy a big speakers and to put loud music. The method used by Guillermo Nagore I think is the correct one, cuz it can help people to understand in a better way what he is really planning. I proposed to xlpharmacy owners to use the same method, due to the fact I want everything clear between us.